Of all the Spanish regions, the geographically isolated Extremadura – “the land beyond the river Douro” – remains the most remote from the modern world. And in evocative Cáceres, the city’s demure, leisurely pace of life, fascinating walled old town, well-preserved Jewish quarter and warm, hospitable inhabitants ensure that visitors to this magical part of Spain never want to leave. Wandering among its silent, winding alleys and magnificent squares allow the visitor to step back in time, as modern development and the rapid pace of life have very much bypassed the old town of Cáceres! Cáceres has a long and proud history that stretches back over 25,000 years. Humans first settled near the location of what we know today as Cáceres in the Palaeolithic era, with cave paintings dating back from this period still in existence in caves surrounding the city. Then Celtic tribes created a small settlement on this steep plateau in western Spain, which was subsequently occupied by the Romans after their conquest of Iberia. The first official Roman settlement was founded in 78BC, used as a winter encampment for Roman legions. 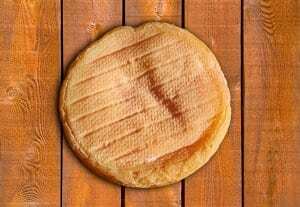 Then, the Roman ruler Norbano Flaco arrived in 34BC, took a shining to the settlement and renamed it Norba Caesarina. The settlement flourished under Roman rule and became an important trading post in Roman Spain. Following the collapse of the Western Roman Empire in the 5th century AD, Cáceres fell under Visigoth rule. The period was marked by decline and decay as Cáceres fell into chaos until the Moors invaded Spain in 711. Thereafter, the Arabs would control Spain for over three centuries and hold onto Cáceres until the 12th century. The city once again came under Christian rule in 1166, when the warrior Gerardo Sempavor succeeded in taking control from the Moors. 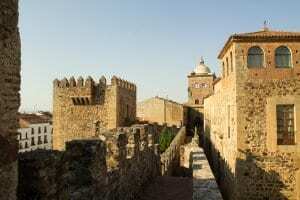 However, Cáceres was soon retaken by the Arab invaders before being lost to Fernando II of Leon in 1169. A period of much trouble followed, with several skirmishes and sieges which finally ended with the Moors retaking control in 1173. It must be emphasized, however, that despite the conflicts during the period, several major city improvements were undertaken, which are still visible today. These include the additional fortifications built on the existing Roman walls, the towers of Bujaco and the cistern at Veletas Palace. The Moors finally permanently lost control of Cáceres in 1227, after Alfonso IX of Leon conquered the city following a prolonged and bloody battle. A golden age would then dawn on the city as Cáceres grew increasingly prosperous as a free trade town, attracting merchants and later aristocracy to settle there. They built magnificent stately homes and palaces fortified by watchtowers, the Jewish population also thrived during this period and settled around the synagogue. Sadly, this age of prosperity and stability could not last. During the Spanish war of succession for the crown of Castile, the Monarchs Isabel and Fernando ordered most of the stately home’s watchtowers and battlements to be demolished in 1476, as punishment for the aristocracy’s refusal to support their cause. Some measure of peace and prosperity would return to the city in the 16th century, as Cáceres benefited from the discovery of the New World, and subsequent trade opportunities. Indeed, today’s serene Renaissance town dates back mostly from the 16th century in terms of its architectural heritage. When the conquistadors returned, many opulent and spectacular palaces were built in Cáceres: Palacio Godoy, built by the newly rich explorer and Palacio de los Toledo-Moctezuma, built in the second half of the 16th century for the grandson of the Aztec who had greeted Cortes when he reached Mexico. In the 17th century, Spain suffered a dire economic recession. The previous Kings had spent all the wealth generated by trade with the Americas on a series of disastrous wars, under the last three ineffectual Hapsburg kings, Spain’s European wars continued whilst the country’s coffers ran dangerously low. Famine killed over 300,000 people during this period in Andalusia alone. However, in the 18th century, Spain made a limited economic recovery under the Bourbon dynasty, as the Monarchs made several key investments into Spain’s infrastructure. Cáceres was relatively untouched by the wars of the 19th and 20th centuries, although most of Spain suffered following the Napoleonic invasion of Spain and the subsequent Peninsula War in the 1800s. In 1833, Cáceres became the official administrative capital of the province. From this point on the city’s confidence and sense of optimism returned, population growth and a booming economy from mining ensured that an ambitious program of city works was embarked upon, the most significant being the Paseo de Cánovas. The Spanish Civil War of the 20th century would affect the citizens of Cáceres, in common with the majority of Spanish cities. The city was briefly the headquarters of Franco’s Nationalist forces, being staunchly conservative through-out the 20th century. By the end of the war, over 700,000 lives had been lost and Franco ruled Spain with an iron fist until his death in 1975. However, the outbreak of two World Wars in Europe barely touched the city of Cáceres, as Franco refused to get involved in the conflicts and the city was declared Spain’s first heritage city in 1949. Cáceres was subsequently awarded the status of cultural heritage by UNESCO in 1985 and is today an important University city and center of cultural tourism. The city has completely recovered from the Franco years and is now a proud, vibrant regional capital with superb restaurants, tapas bars, and architectural marvels. Indeed, this city so easily takes a first time visitor’s breath away, who come to marvel at Cáceres’s amazingly diverse and contradictory influences: Islamic arts, Renaissance buildings, and Gothic Churches. 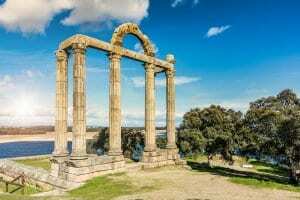 It is simply the crown jewel of Extremadura and one of the most historic and charming places in Europe. Extremadura’s proud citizens are also extremely proud of their cuisine’s heritage, which puts the emphasis firmly on homely, robust and filling cooking. Soldiers from the New World brought back potatoes, corn, tomatoes, and Paprika, but in general, the region has not been characterized by fanciful cooking. Over the centuries, the gastronomy of Extremadura was focused on the delicious Iberian pig, lamb and plentiful game such as wild boar, pheasant, and partridge. Specialties are stews based on lamb, Pollo al padre Pero (half a young chicken simmered in a spicy pepper and tomato sauce) wild frog, Bacalao monacal and the delicious Caldo de Vigilia, which is Lentil soup. Extremadura’s gastronomic treasure is its world-class paprika, specifically the Pimentón de la Vera which comes from the province of Cáceres and is made in spicy and “sweet” styles. Another regional highlight is the Jerte Valley Cherry. Visit the Valle del Jerte when the cherries are in blossom in late March and early April, and be astounded by the beautiful landscapes. Wine lovers visiting Cáceres should note that although Extremadura is not widely known abroad for its wine production, there are some neat wines to seek out like the Ribera del Guadiana appellation. And you can easily sample wines from Spain’s other superlative regions like Ribera Del Duero and La Rioja in Cáceres’s quaint bars and restaurants. The best of these are undoubtedly the powerful and structured wines from Ribera Del Duero in the Castilla y Leon region. Now Spain’s most fashionable red wine region with wine produced predominately from the Tempranillo variety, the most famous being the legendary estate of Vega Sicilia. The white wines of the Rueda area (produced from the Verdejo grape) are also worth a look and would complement Extremadura’s abundant fresh-water fish dishes perfectly. One of Spain’s most beautiful churches faces the imposing Palacio Episcopal in Cáceres and attracts many thousands of visitors from across Spain and Europe each year. It was built in a Gothic-Renaissance style and is noted for its beautiful 15th-century crucifix. This low arched gateway into the Medieval quarter of Cáceres was built by Manuel Churriguera in 1726. It offers a fascinating insight into the city’s varied past, leading through the city walls from the Plaza Mayor into the old town and is flanked by a 15th-century watchtower. This fantastic museum is housed in the Casa de las Veletas and showcases a wide variety of contemporary art and archaeology from the region. One of the few remaining icons of Cáceres’ golden age in the 14th and 15th centuries, this slender, battlement tower belonging to the House of the Stork was allowed to remain intact after Isabel’s decree to destroy most of the battlements in Cáceres due to the owner’s loyalty to Isabel during the Spanish war of succession. It is now owned by the army. This Two Michelin starred gastronomic mecca which won the best restaurant in the world for wine lovers, in Wine Spectator magazine, and it offers a thoroughly elegant, chic experience. Signature dishes include venison fillets served with muscat grapes and pears – estupendo! Located on Plaza de San Juan, offers a taste of genuine Extremaduran cooking, such as trout a la Extremeña (stuffed with ham) and the typical soup of tomato with a poached egg. Any visitor to Cáceres should head straight to the magnificent old quarter and enjoy exquisite, succulent Jamón Serrano in the districts many fantastic tapas bars. You will not taste better ham in Europe, with its deep red color and intensely sweet, nutty flavor. Considering the city’s small size, the variety of places to eat and drink in Cáceres is impressive, from cafes and tapas bars to gourmet restaurants.